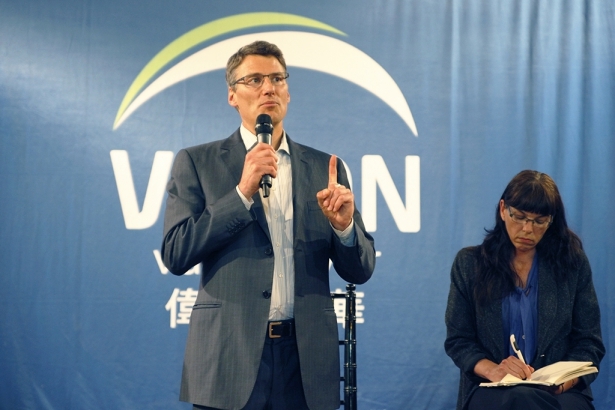 Gregor Robertson opposes both the Northern Gateway and Kinder Morgan expansion pipelines that are being "aggressively" pushed by the Harper government. 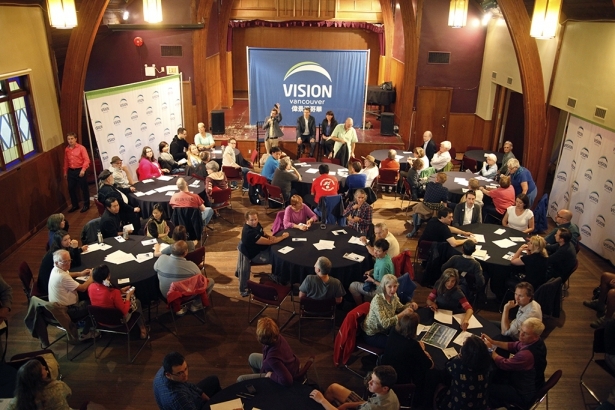 Speaking to Vision Party faithful in a former church auditorium on the city’s west side, Vancouver’s mayor preached about how the Harper government’s "aggressive" pro-oil pipeline policies would hurt the city’s global green image. “Their economic vision for us is this whole idea of putting dilbit into oil tankers. They’ve completely discounted our economy and our strengths,” said Roberston on Monday at St. James Community Square. Many companies and talented workers attracted to the city’s creative, sustainability and high tech sectors, might set up somewhere else if the big oil push is continued, he said. The city says it wants to be a "green Mecca" by doubling "green jobs" over 2010 levels by 2020. Robertson has long said Kinder Morgan’s pipeline expansion proposal – to transport oil bitumen past Stanley Park and out the Georgia Straight -- threatens city coastlines, tourism and climate targets. But the Mayor had similar objections to the now-federally approved Enbridge pipeline planned for northern B.C. "It's a big risk to the economy of the north, to fisheries - that's a case that's been well made by locals in northern B.C." Video of Mayor by Zack Embree for the Vancouver Observer. 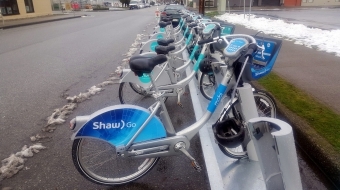 Speaking at the mayor's side, Councillor Andrea Reimer said Kinder Morgan’s new pipeline, if approved next year too, is contrary to the city’s “Greenest City” goals, including curbing emissions by one third by 2020. Reimer said just “three days” of the pipeline’s operation would “wipe out” all the gains made by the city in cutting GHGs over the last five years. Both Vision politicians are clearly gearing up for a civic election on Nov.15. The Non-Partisan Association (NPA) did not respond to media requests for this story via one of its city councillors this week. A further call was made to the NPA office, late Wednesday. The NPA is expected to announce its slate of candidates shortly. A prominent mayoral candidate -- tech entrepreneur Leonard Brody -- dropped out of the race last week.